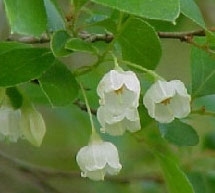 Brooksville bellflower was thought by some authorities to be extinct by by 1980. Subsequently two populations were discovered within two miles of each other and close to the original site. One is the former USDA site which had the highest recorded count in 2013, and another is on private property. 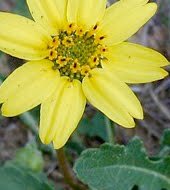 Both are described as near “cow pasture ponds,” on the margins of seasonally wet areas, and both sites are now at risk due to development, run-off and lack of management for species protection. 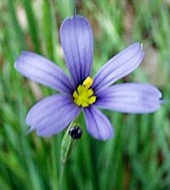 In 2006, Carmel Van Hoek, a long time member of Florida Native Plant Society collected a “vivid blue flower” at Hillsborough State Park, in similar growing conditions as the Hernando populations. 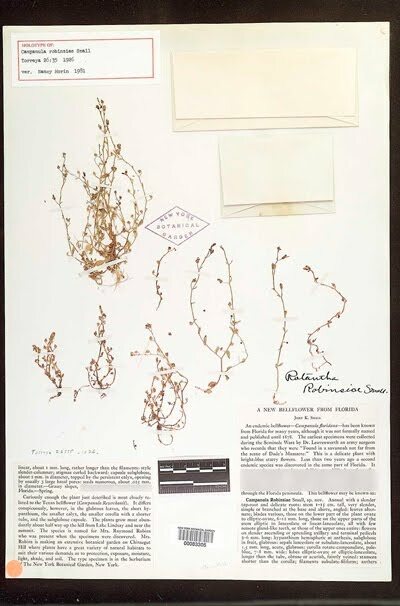 In consultation with Dr. Bruce Hansen, the curator of the USF Herbarium, this find was identified as a previously unknown population of the extremely rare Campanula robinsiae. In 2009, Shirley Denton captured this image (right) that reflects the delicate structure of the plant. This close-up is at least 10x the size of the actual bloom. 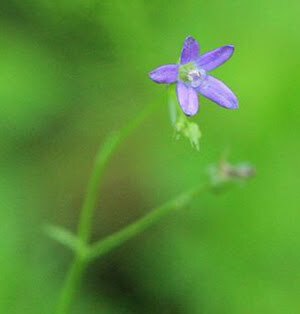 Since then, the Bok Tower Gardens (BTG) Conservation Program has monitored and collected seeds from all of these sites, and has begun efforts to propagate and establish Brooksville Bellflower in protected locations in Hernando and Hillsborough Counties. BTG will continue to survey each site as long as access can be maintained. BTG’s most report on these efforts notes that due to uncertain future for the former USDA property adjacent to Chinsegut Hill, and the potential development of the private property location in Hernando County, these populations are in jeopardy, and future surveys there may not be possible. Now that funding has been secured to preserve the Chinsegut Hill Manor House and grounds, and Hernando County Environmentally Sensitive Lands funds have been allocated for removal of exotic species on that parcel of land, perhaps it will be possible to restore the site of the original “Chinsegut bluebell” to its condition at the time of the first find. A nature trail through such an area leading downhill from the Chinsegut Hill summit towards the pasture and ponds below could offer interpretive signage and attractive views for ecotourists, highlighting Hernando’s cultural and natural history.